1. Mix together the Curry Powder & Butter into a smooth emulsion. Carefully lift the Thigh’s skin & with a spatula & coat the meat. 3. One half hour before dinner, heat the pan, (for this recipe we like the control of an electric pan) to 325F. Add 1TB of Olive Oil & when rippling, add the Thighs, skin side down. 4. Pan fry for about ten minutes & turn the underside down for another ten to twelve minutes. Check the internal temperature, 135F is ideal for Meduium Rare. 5. 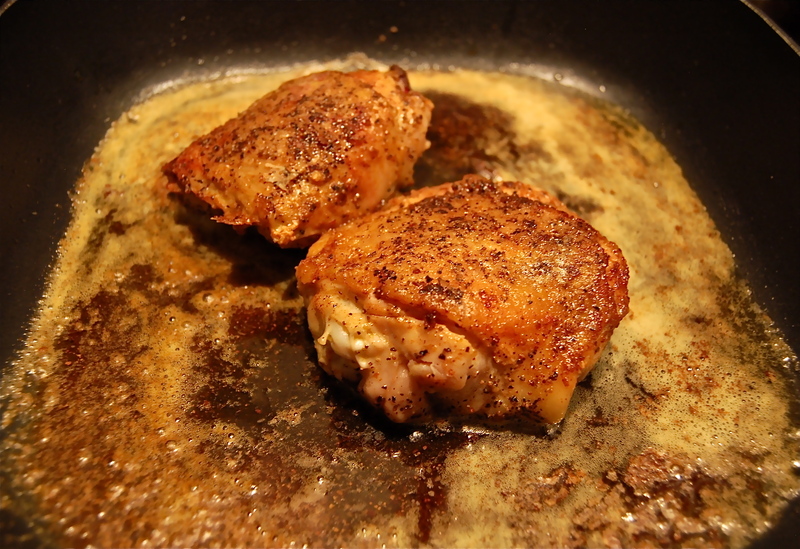 Remove each Thigh to a plate & spoon the delicious Curry Butter sauce on & around them.